If your closet looks anything like mine, then it is about 20% clothes and 80% shoes. If you only have a few pairs of shoes, finding a good way to keep them organized so you can find them when you need them can still be tricky. 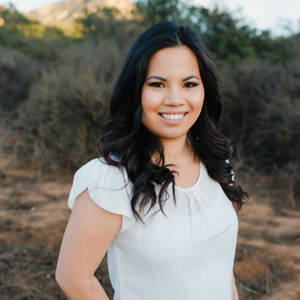 If you are looking for practical ways to store your shoes, I’ve got some tips for you. If your floor space is limited, the most practical way to store your shoes may be to hang them. 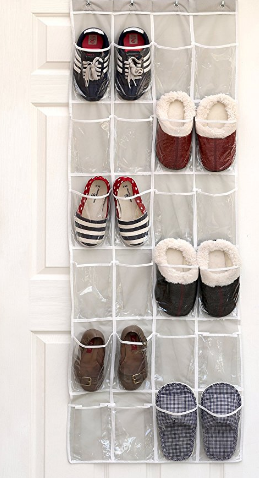 This can be done by either using an over the door shoe organizer, a wall mounted organization system, or even hanging bins on the back of your door. 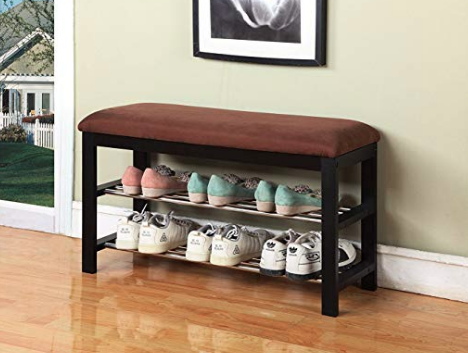 This is one of the least expensive storage solutions for your shoes, however, it can also be the most limiting when it comes to growth. If you have a lot of shoes, or you prefer to see all of your options easily, putting your shoes on display may be the best option. If your closet has shelves, consider storing your most elegant shoes there. If you don’t have a shelving space for your shoes, you can still display them using a rack or even a dedicated shoe organizer like this. 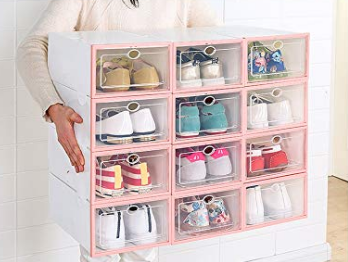 Instead of having them on display, use bins like these to organize your shoes by type. 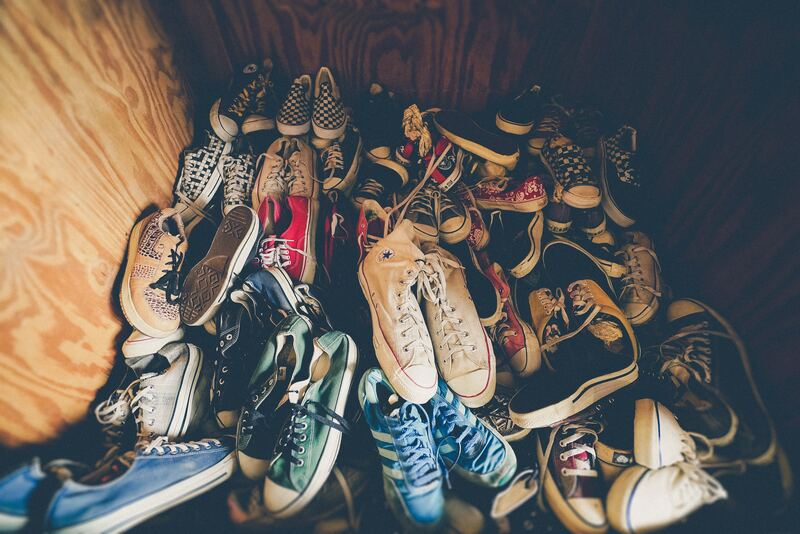 If you don’t have many shoes, you may be able to organize them by season instead. You can use bins organize your shoes by style, color, or even length if you want to. However you decide to organize your shoes, make sure you use labels so you know what is in each bin. This is also a great solution for those who may be looking to expand their shoe collection in the future. 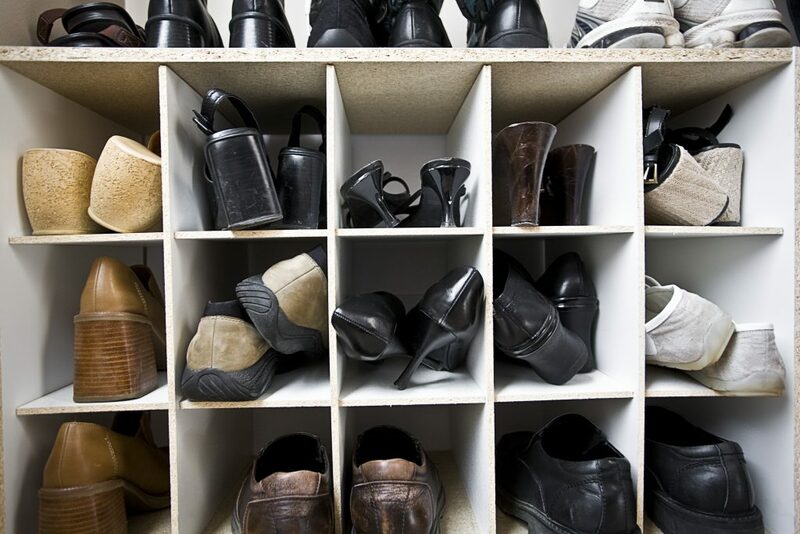 Instead of having all of your shoes on display, keep out only the ones you wear regularly. Keep special occasion shoes, and shoes that are only used once or less per year in a storage space. This will help limit your choices, and keep the ones you do display more organized. If you have a lot of shoes, this organization method is going to be the most helpful! 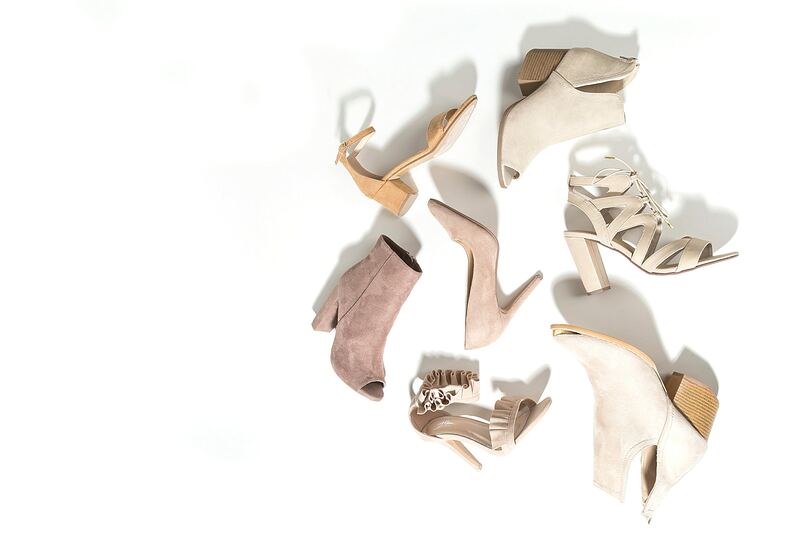 Instead of hanging on to your 20+ pairs of shoes, it may be time to finally ask yourself if you really do need all of those shoes. If you are having a hard time parting ways with them, sort your shoes by the ones you wear most, and the ones you are not sure of. If by the end of the year you still haven’t worn those shoes, it may be time to find a better home for them. 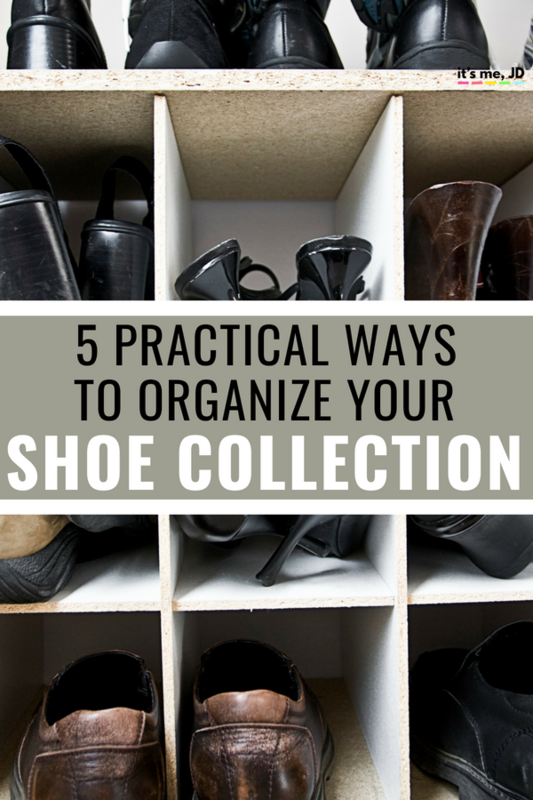 Limiting the number of shoes you do have can be the best way to keep them organized. Storing your shoes doesn’t have to be a complex system or a lot of money. Hopefully one of these five ways to store your shoes will work for you, so you can keep your shoes organized.